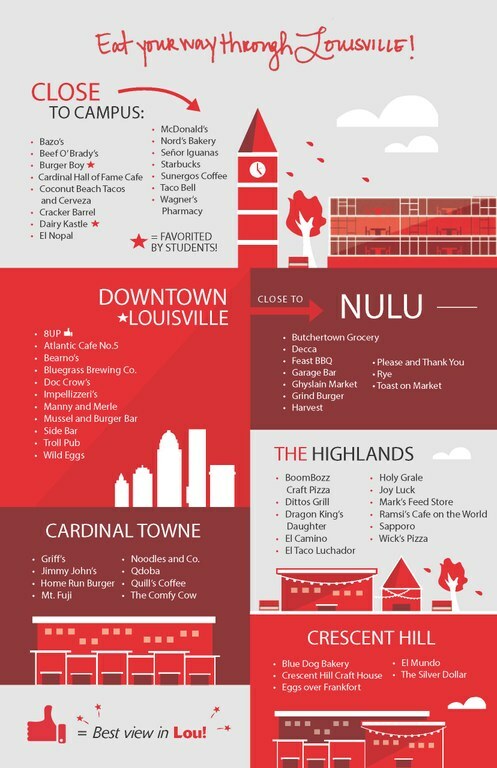 Louisville is most culturally unique and economically thriving city in the state of Kentucky. The following is just a small sample of the exceptional activities you can explore during your visit. 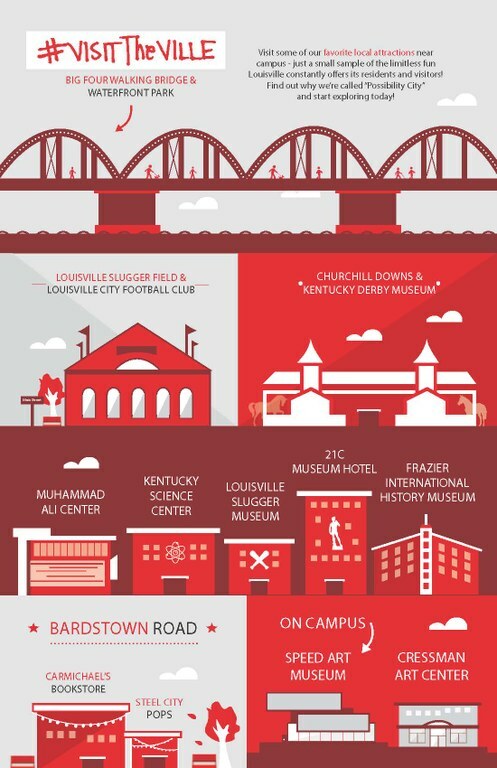 There are a wide range of cultural, social and educational activities to explore on and near the UofL campus. Kentucky Derby Museum - Louisville is home to the famous Kentucky Derby. Take an historic walking tour of the Churchill Downs Racetrack, view "The Greatest Race,' a multi-media experience, explore family-friendly exhibits, and more. Speed Art Museum - Located right on campus, this newly-renovated museum is the oldest, largest and foremost museum of art in Kentucky. Big Four Bridge - If you didn't get enough walking on your campus tour, head to the Big Four Bridge for a scenic view of downtown Louisville over the Ohio River. Muhammad Ali Center - This multicultural center houses an award-winning museum dedicated to the life of boxer Muhammad Ali, a Louisville native. Named by National Geographic as one of the Top 10 Food Cities in the world, Louisville offers incredible dining options all over town. From innovative food trucks, to historical treasures to modern bistros, you'll never go hungry in The Ville. Click here for a full list of hotels in the Louisville area.